The soulful summer sound of Deep Village Records has arrived, and we are ecstatic to share it with you. Produced by Clemens Rumpf with super heavy weight vocals by Marcell Russel from Baltimore. This Baltimore native continues to distinguish himself as a writer, producer, singer and performer. Having penned over 700 songs in an eight-year period, being nominated for over 20 independent music awards and winning several of those coveted titles is impressive! 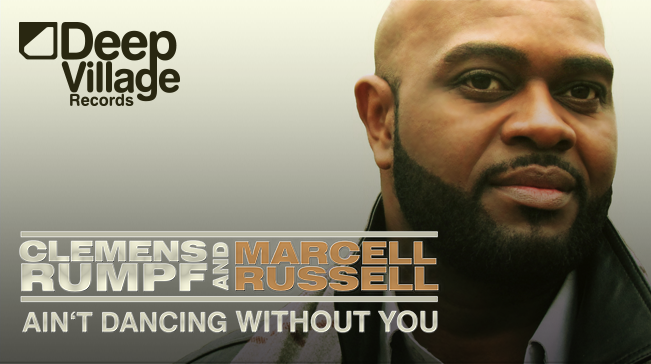 This project was made with love and the message is clear “Ain’t Dancing Without You”. ​Clemens Rumpf and Marcell Russel – Ain’t Dancing Without You (DVR 021) from DEEP VILLAGE MUSIC on Vimeo.